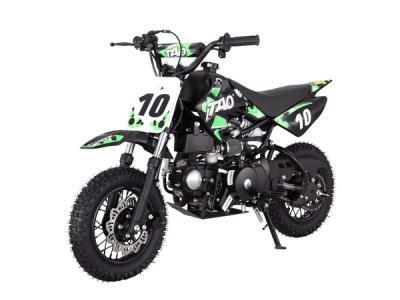 Taotao DB10 110cc Dirt Bike with a Automatic Transmission, Electric Start, Front Hydraulic Disc Brake! Chain Drive! 10" Wheels! This chart shows the absolute best size person to fit in this unit. However, this does not mean someone shorter or taller could not also ride this unit. The DB10 110cc kids dirt bike from TaoTao USA is one of their newest models designed specifically for beginning riders. The DB10 includes all the same features as full-sized off-road motorcycles like reliable CDI ignition, front disc brake and electric start. The smaller, lighter frame, 26 inch seat height and automatic transmission are just right for little ones just learning to ride. All-terrain tires and a full suspension with a ground clearance of more than 6.5 inches make trail riding fun and easy. Comes in several colors. 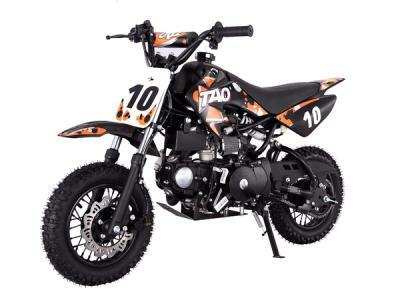 The Taotao DB10 is a best dirt bike you could get in the market for less than $600, it is designed specifically for beginning riders. 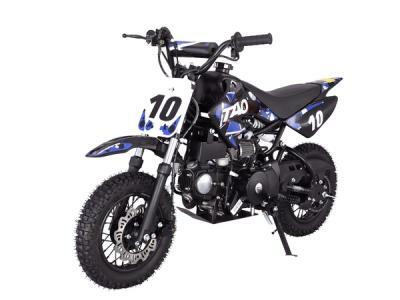 Our 110cc dirt bikes are the ultimate in competition racing bikes that have a high performance 110cc 4-stroke engine with Electric start. 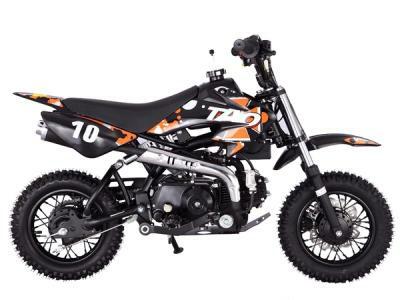 Smaller, lighter frame, 26 inch seat height and automatic transmission are just right for little ones just learning to ride. All-terrain tires and a full suspension with a ground clearance of more than 6.5 inches make trail riding fun and easy. You will have smooth and comfort ride experience with our balanced bikes! Carton dimension (L*W*H/in) 45.5 x 14 x 25"
Hard to beat the deal, fast shipping, & easy to assemble. 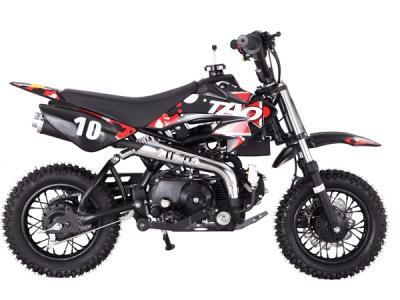 Our Pit Bike is great & a lot of fun..
Easy to start, ride, & recommend for a beginner rider.. 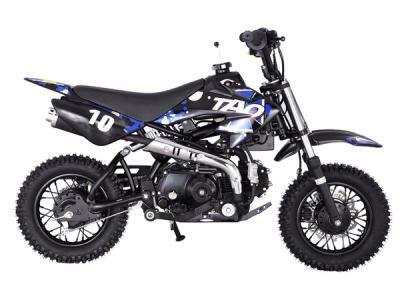 I ordered this bike on a Monday hoping that standard shipping would get it here before my son's birthday the following week. To my surprise it was delivered 3 days later. I have assembled the bike and everything looks fantastic. I'm not a mechanic, but I am extremely impressed with this bike. I will ride it tomorrow and edit this review if something changes. Overall a great purchase so far.